I had been trying to keep the chassis jigs in my head, but finally decided they’d probably come out better if I put them on paper first. So I spent the past few days designing them, and it became quite clear why I couldn’t keep them all in my head. I intend to bend the top chassis rails in one continuous curve as that will add a lot of style to the chassis. 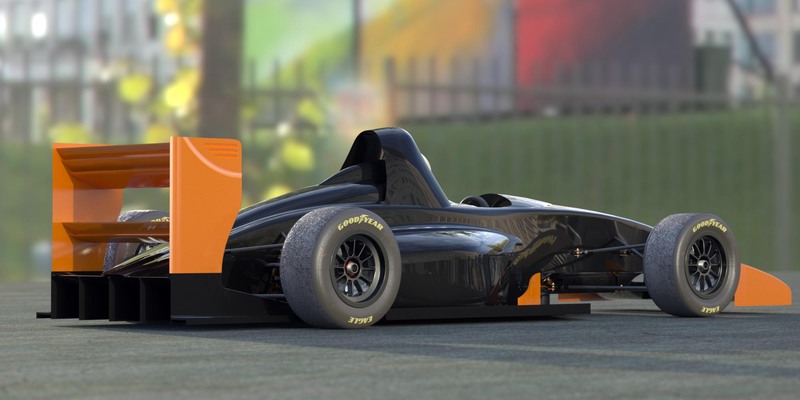 A lot of race car frames look like industrial equipment, but I have something in mind more like an Ariel Atom exoskeleton car, where the frame is so beautiful you don’t even need a body. Of course the car will have a body for aerodynamic, esthetic, and safety reasons, but I’d like people to see the frame without the body and still say “Wow!”. Now, the top rails are splines, not just arcs, and the only way to really bend one properly is to know where it’s supposed to be in 3-d space along it’s length, and that’s where the chassis jig comes in. When the chassis jigs are all in place, it will give me target locations all along the length of the frame that I can bend the rail to fit. 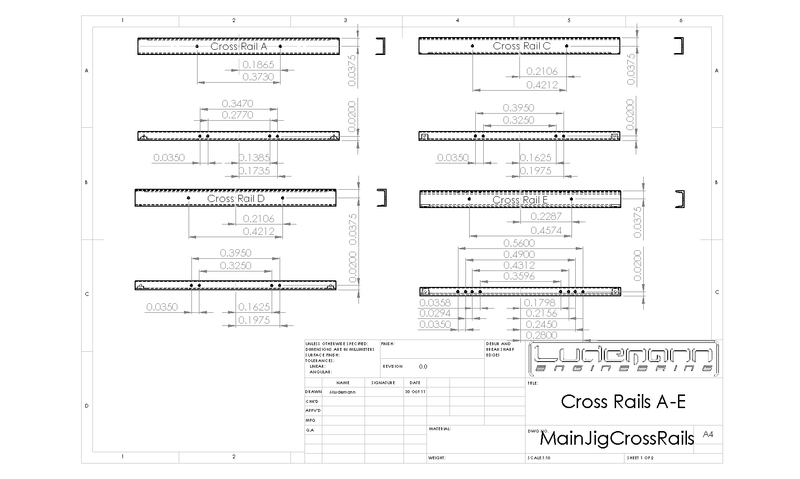 This entry was posted in Drawings, Jigs and tagged chassis jig, drawing, frame table. Bookmark the permalink. Hi there, I’m a mechatronic engineer /welding technician and recently I started working at Cofla Racing in Mexico City. Right now we are fabricating a touring car but we are planning to fabricate some formulas and prototype cars (formula chassis with barchettas bodywork). 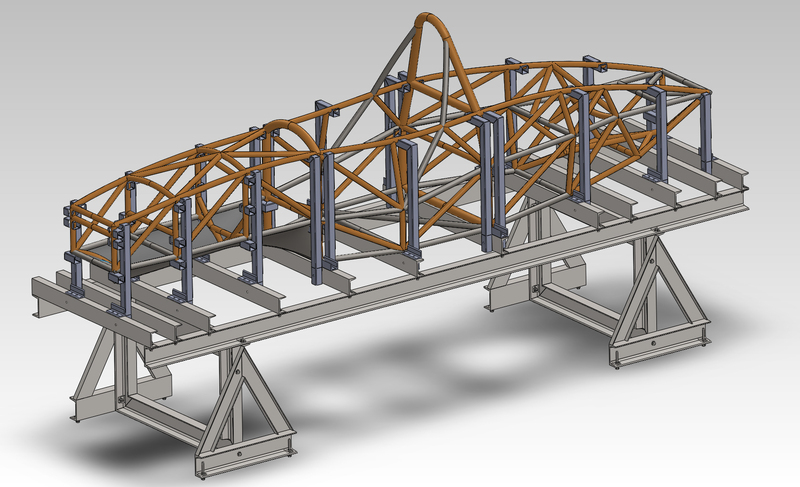 Prior to this project I was involved in the SAE Baja team at my University in Mexico, but i really don’t have that much experience with jigs for a formula car, since the jig for the touring car was already made when I got here. Seeing your adjustable jig pretty much set my mind (the jig i am currently using is not-adjustable and i had to modify it considerably to make some suspension changes in the frame of the new car) so i was wondering if you could share some of your jig blueprints to help me out and speed up the process of fabricating this new jig. Thanks for your time and for sharing all your experience in this blog, best of lucks in this awesome project. 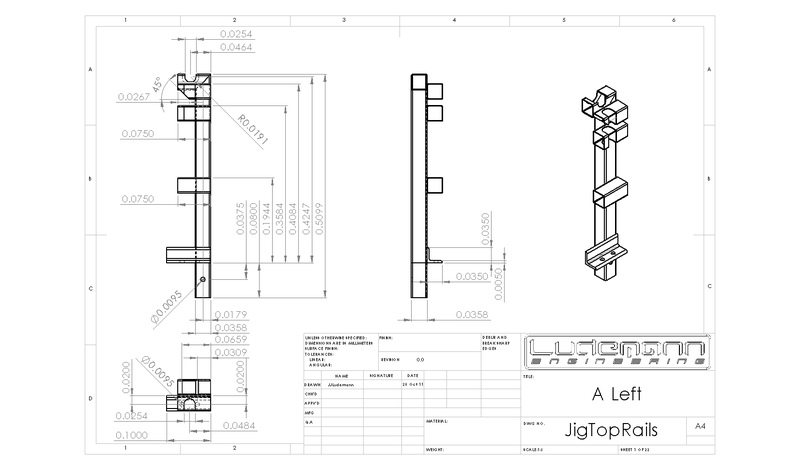 I’ll send you a STEP-format file of the jig table. Hope it’s still of some use. Hello, I am currently a mechanical engineering student on our school’s FSAE team. I have been assigned a project related to jigs. I was wondering how you picked the key points for the jigs? Is there a reason to constrain different members in different directions? I noticed you had no vertical constraints on your drawing. Some of the nodes on your drawing have 6 members meeting but no jig support. Were the members notched so that they held themselves together? Also does the order of welding members influence the jig placement? I really appreciate any information you could give me. I just put a crossmember under each bulkhead or vertical frame member. The tubes were held into the jigs with c-clamps for welding. The complex joints did not hold themselves together, but were welded in place one at a time. You have to think through the order of welding and the location of the jigs as much as you can, but you’ll still probably end up cutting some jigs to get them off the finished frame. Hi I’ve been following ure build an some friends an i decided we would like to take a crack at building 1 of ure f1000 race cars. Wondering if we could get some information and tips as we go about it. Anyhow I’ll look out for a reply and continue to view ure progress with that awesome build. That would be great! I intend to sell body kits and bare chassis, and of course I would provide ongoing support. The project is almost to the point where I can start cloning the chassis.